Minimum age 16 years for Learn-to-bike and camp jobs. Learn-to-bike instructors and Summer Bike Camp leaders must have CAN-BIKE 2 certification. 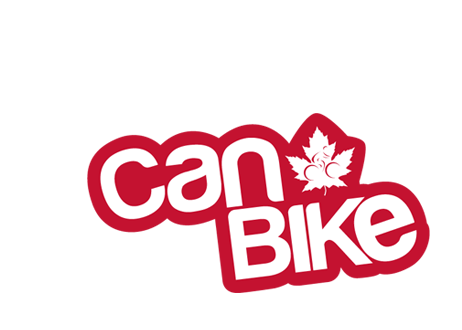 CAN-BIKE program instructors must have CAN-BIKE Instructor certification. Interested applicants that do not have their certification will be considered, but hiring is dependent on having full certification by May 30, 2016. Courses for CAN-BIKE 2 and CAN-BIKE Instructor Workshop can be found on the City of Toronto website. Assistant Instructor required to help with delivering classroom, “parking lot” and on-road cycling courses. Duties include set up and take down of computer and projector, setting up/taking down obstacles for handling drills, riding in sweep position on road to ensure all course participants stay together and in line as well as evaluating participant’s understanding of course material. Must be able to attend CAN-BIKE 2 course in May and pass associated tests (course fee will be 75% refunded after first full course worked). Must be able to work at least one of three Kids CAN-BIKE courses in 2016. See the schedule for dates/times of courses. This position comes with the opportunity to pursue Instructor Certification, which will increase the work opportunities in the future. Must be able to ride a bicycle with reasonable proficiency. Must provide their own bicycle, in good working condition, and an approved bicycle helmet. Must be proficient in speaking and reading English. Must complete Calgary Police Service background check for working with Vulnerable Sector individuals. First Aid is an asset. If you are interested in becoming a Safer Cycling Calgary Instructor, please send a message through the contact form. Include your resume and a list of the courses you will be available to work. Note: Safer Cycling Calgary is also hiring Certified CAN-BIKE Instructors! Looking for cycling instructors for Kids CAN-BIKE Festivals in York Region for this coming Spring and again in the Autumn. Rates will be $15 to $22 per hour and will include some travel time. Contact: Jacqui:416 539 9380 or snyderj63@gmail.com. Bicycle Camp (15 hours) for all abilities, including beginners. 90 minutes every morning. Signals, Rock Dodge, Slalom, Figure 8s in ever-smaller spaces. Slow Race. Shark Tank. Je suis instructeur de vélo certifié par Cyclisme Canada avec 25 ans d’expérience. Je veux aider les gens à découvrir la joie du cyclisme. J’offre exclusivement des produits et services reliés au cyclisme. Ces services couvrent tous les aspects du cyclisme: vente, réparations, mises au point, location, formation (technique, mécanique, sécurité).